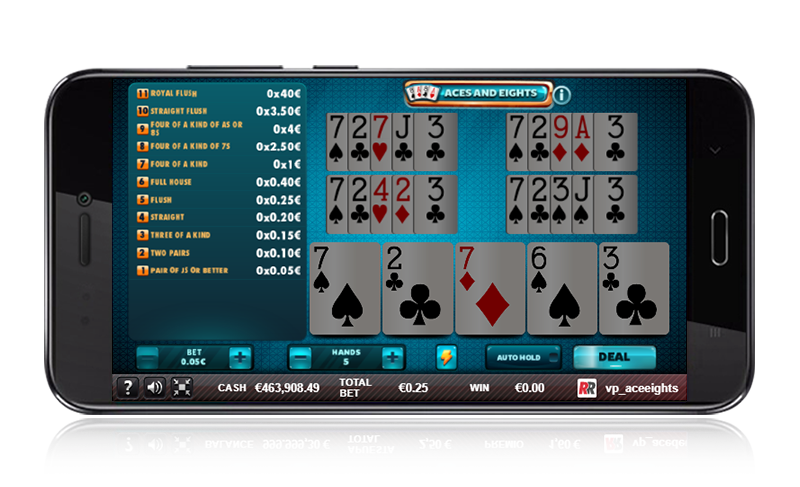 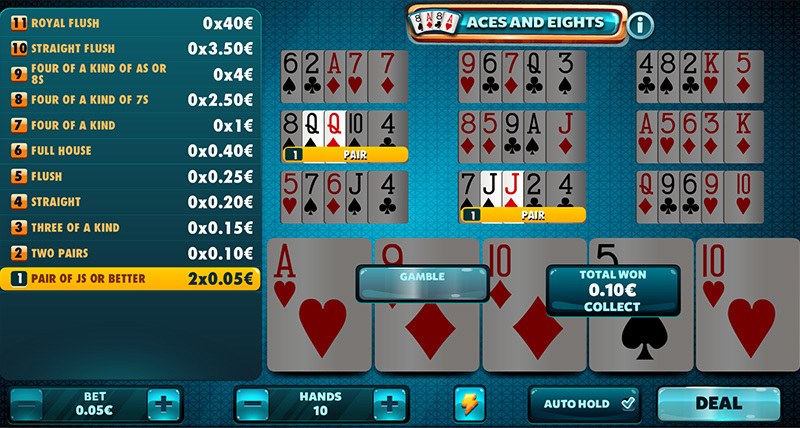 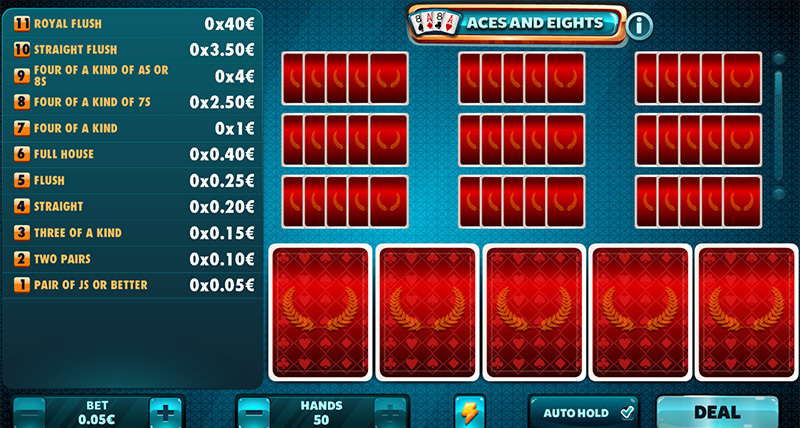 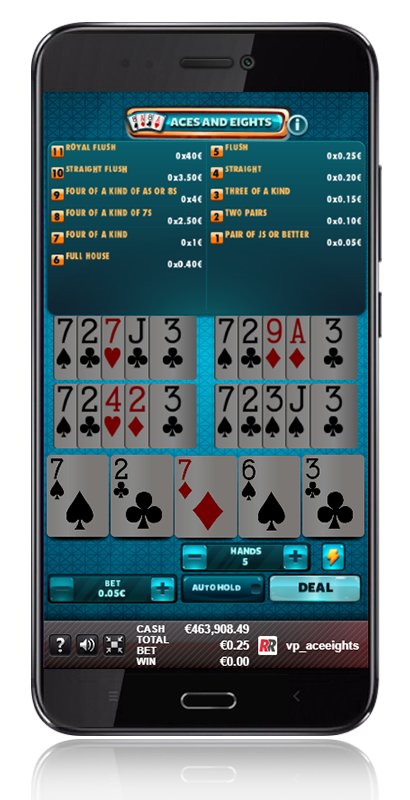 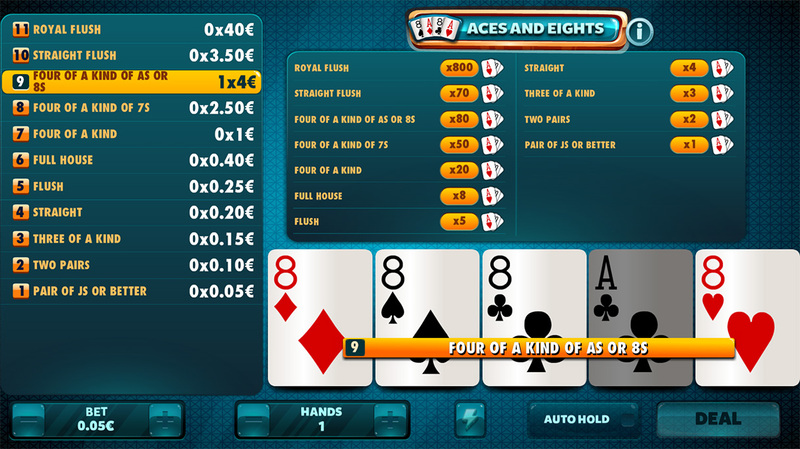 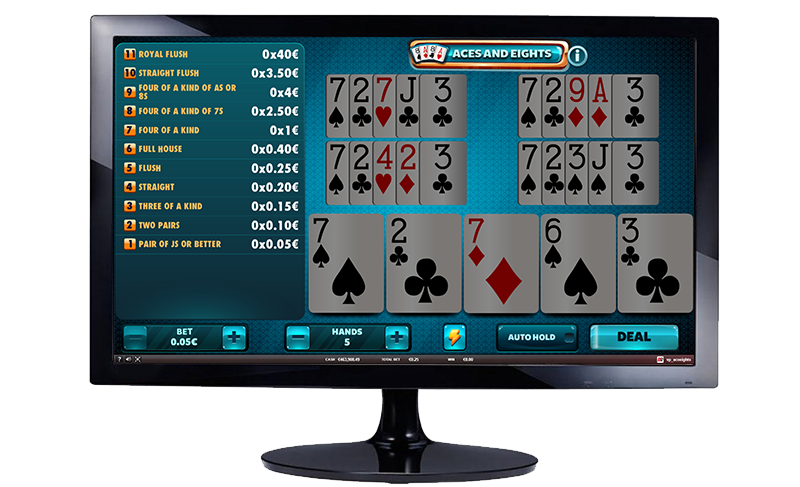 As the name suggests, the hands with a “Four of a Kind of Aces, 7s or 8s” will be awarded. 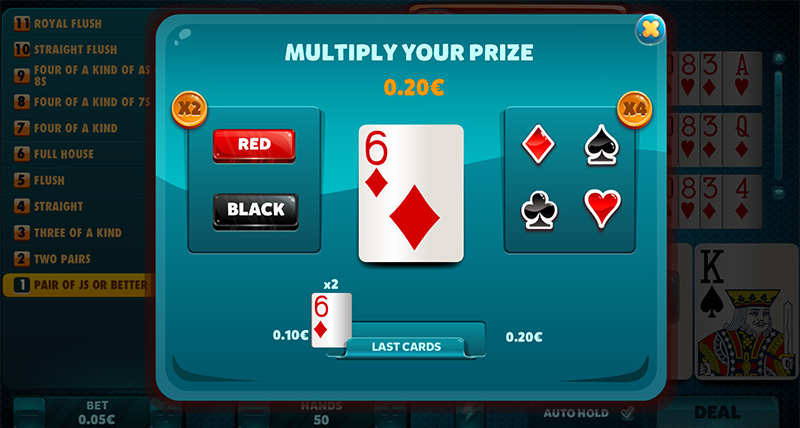 However, with a single pair of Js or higher you will obtain a prize. 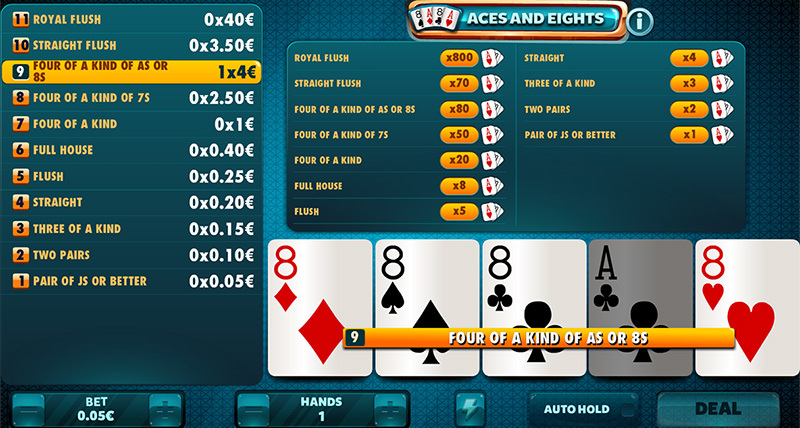 Aces & Eights: The Four of a Kind of 8s is the winner. 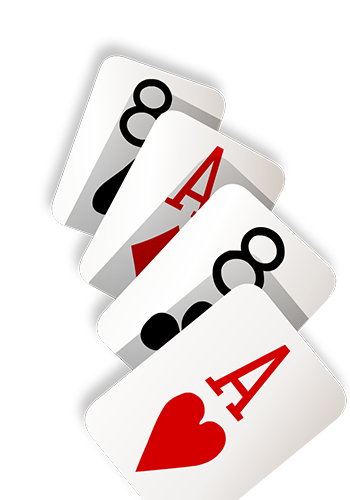 Aces & Eights: Any hand equal to or higher than a pair of Js will have a prize.